Cocaine is one of the most abused drugs in the world today. 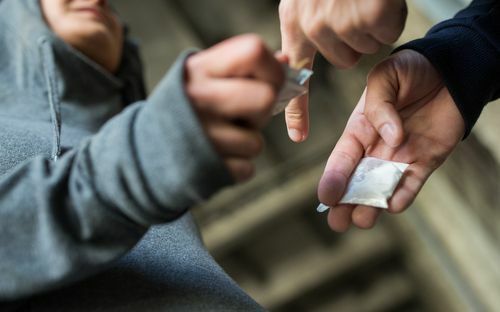 Increased supply, steady crack cocaine prices, and increasingly sophisticated drug distribution networks have made cocaine, also known as coke, easily available on the street. Crack, the crystalized version of cocaine, has also grown in popularity due to its easy mode of manufacture using simple ingredients found at home. While most people focus on the effects of these strong stimulant drugs, there is another seldom-examined aspect to abusing drugs: cost. Cocaine and its variant rock candy, slang for crack, can ruin a person financially as the individual tries to support the habit. So, how much is crack? We delve deeper into this question throughout the rest of this article. How Much Should I Pay for Crack? The Difference Between Crack and Coke? 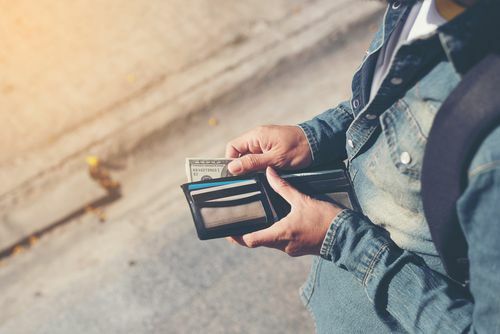 To understand the pricing models for crack and coke, it is important first to understand the difference between the two, as this plays a key role in determining the street value of crack. Boiling powdered coke in a mixture of baking soda and water yields the drug. Once the solution cools down, crack crystals form at the bottom. While taking cocaine is usually by snorting the powder into the nostrils, taking the drug involves burning the crystals in a pipe or bong with a chore boy crack. The crystals make a crackling sound when burning, giving rise to the drug’s name. The resulting vapor, which has a distinctive crack smell, is inhaled into the lungs and transported through the blood to the brain. This extra step in processing is the main distinguishing point between the two and the main reason why crack is cheaper than powdered cocaine. Why Is Crack Cheaper than Coke? The street value of crack tends to be lower than that of powdered cocaine. Generally, the addition of other substances is what drives the price of the drug down. In this case, the amount of baking soda used to create the crystals both lowers the potency of the final crystal while increasing the mass of the rocks. As the drug is mostly sold by the rock rather than by gram weight, dealers seek to increase the mass of the rocks while compromising potency. In this way, they sell an equivalent gram-weight of crack at half the price of that of powdered cocaine. For instance, a gram of crack may sell for as low as $15 while the equivalent of powdered coke can fetch as high as $100. According to the United Nations World Drug Report, the drug’s price, though volatile over the last 30 years, has remained relatively constant. This volatility is attributable to factors impacting the supply of cocaine such as drug busts and inter-country drug enforcement treaties. In 1990, the price of a gram was around $150. Today, that price has settled at the $100-dollar mark for 1 gram of crack. Prices tend to be lower in the southern hemisphere, mostly driven by low incomes, poor enforcement and high availability of the substance. In countries like Venezuela and Panama, for example, crack prices per gram can drop as low as $1. In the more-affluent and better policed northern hemisphere, these prices can go as high as $800 per gram. The United States is the biggest destination market for cocaine and as such, also leads in the manufacture and consumption of crack. The price of the drug in the United States is a factor of three conditions: location, purity, and availability. In low-income neighborhoods with multiple drug dealers competing for a limited market, the price of a gram is between $5 and $20. In more affluent neighborhoods, the same gram can fetch between $50 and $100. The price of the drug also varies from state to state. For example, a gram of coke sold for $17-30 in Chicago in 2000 while fetching $27-40 in Southern New Jersey in the same year. A bag of crack similarly fetched $10 and $20 in Chicago and New Jersey respectively. Many people wonder where to buy crack. They have heard about the intense highs it brings and the amazing experience they will have. However, the fact that the drug is a controlled substance means there is no way to ensure the quality of the product. In many cases, first-time users purchasing drugs on the street or who buy crack cocaine online have no way of telling whether what they are ingesting is the actual drug or a different substance. Lack of transparency creates a dangerous scenario where an individual can have an adverse reaction and not know what is causing the reaction. Such a scenario may lead to death if healthcare professionals cannot properly diagnose the issue. Besides the quality, possession of drugs is a crime and can lead to jail time, even if the drugs found were only for personal consumption. Pricing follows the same predatory pricing models that seek to exploit the vulnerable in society. Most people who get hooked on the drug start off taking expensive, high-quality preparations. However, as the addiction sets in and money runs out, most resort to cheaper formulations. These have low potency hence pushing the person to buy more and more drugs to get high. Many drug users turn to stealing, prostitution, and other vices to support the habit. The habit can set back an individual anything between $250 and $500 a day, accounting for between four and ten doses a day. Crack street value is designed to keep a person hooked whether they can afford a hundred-dollar gram or a five-dollar gram. It is not clear how crack began but what is clear today is that it is a billion-dollar business purely driven by profits. Peddled by ruthless capitalist gangs, the drug preys on the weak and vulnerable in society, turning them into life-long customers of the drug sellers. Understanding the pricing mechanisms of the drug and why it is so easily available should provide perspective to anyone exposed to the drug. Dabbling with the drug is participating in an ecosystem of suffering, crime, and death, all propagated by a relentless thirst for profit. Crack pricing makes it accessible to both the rich and poor. However, the dangers of crack far outweigh this pricing efficiency. If you or a loved one is affected by crack cocaine, there is hope with immediate treatment. Call (888)-459-5511 today to speak with a caring and knowledgeable representative. I thought crack was more expensive, thats why they make it right, bc they can make more money with it? If coke was more expensive, why in gods name would you convert it to something that is cheaper? Spending $50 doesn’t everyone think I should be getting a gram and no less?? You take half a kilo of cocaine and mix in a half kelo of baby formula and cook it. Do this twice, and you took one kilo of cocaine, and made 2 kilos of crack.